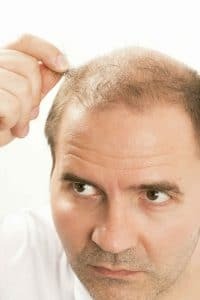 If you want to know how to stop hair from thinning, you need to learn how to stop or control hair loss. Some hair loss is normal, and the average person loses about 100 hairs every day. This seems like a large number, but when hair growth is healthy we can produce enough hair to cover that loss. Thinning and balding occur when the rate of hair loss exceeds the rate of growth. Knowing how to stop your hair from falling out is a tricky subject. 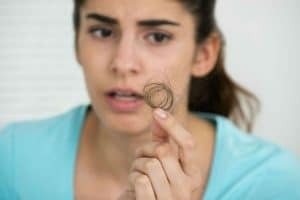 There are some lifestyle factors you can look at and home treatments but ultimately, hair loss is a medical condition, and it often needs a medically based treatment. Strand-by-Strand®: If you want to know how to reduce hair loss, you need to know how to replace it in a natural-looking way. We offer a 100% guaranteed way of doing this by replacing your hair the way it falls out – strand by strand. Advanced Laser Therapy: We combine a hair and scalp treatment program, with pharmaceuticals and powerful laser technology to improve scalp health and reactivate follicles for hair production. We often combine this treatment with an at-home Stem Cell Hair Technology Factors treatment. Advanced Hair Fibres: Thickening Fibres: With the power of keratin, you can get instantly thicker hair that disguises your hair loss. All you have to do is brush the fibres through your hair, and your hair loss will be invisible. Advanced Singular Hair Grafting: If your hairline is receding, you need to learn more about our Hair Grafting. We can restore your hairline without anyone knowing you’ve had surgery. Advanced Laser Therapy : Our laser therapy for women has a 90% success rate, and clients see visible benefits within just three months. Strand-by-Strand®: Just like the male procedure, our Strand-by-Strand® hair restoration process can replace lost hair and stop hair loss in a completely natural way. FlashPoints®: Our hair extensions are the most sophisticated in the world. They don’t require any wax, glue or weaving and they look 100% natural. They are also reusable and available in a range of styles. We have the answers to how to stop hair loss and how to prevent balding. We’ve helped over 500,000 people around the world to keep their hair and take control of their future. The truth is, you can’t prevent hair loss yourself, you need the medically and scientifically-backed hair loss treatments that only Advanced Hair Studio can offer.